A General Landscape Cleanup in University Heights. 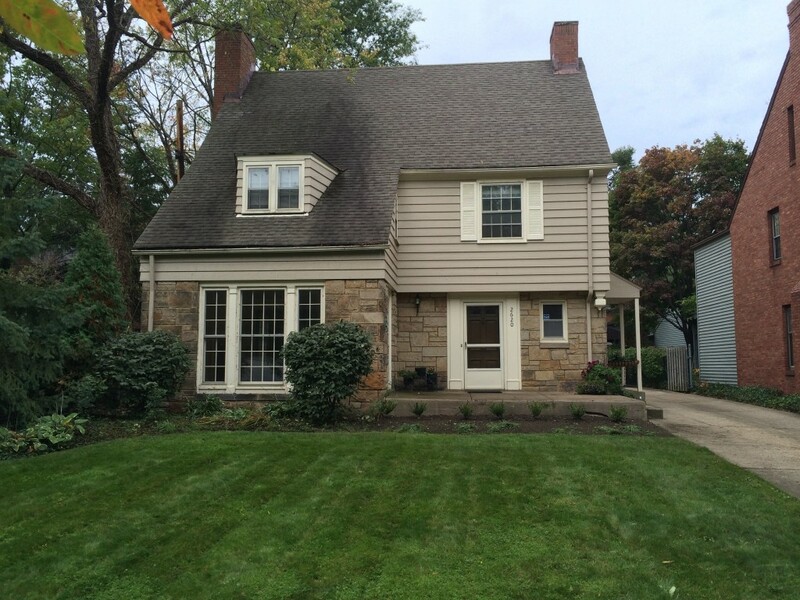 After: Boxwoods removed and replaced. 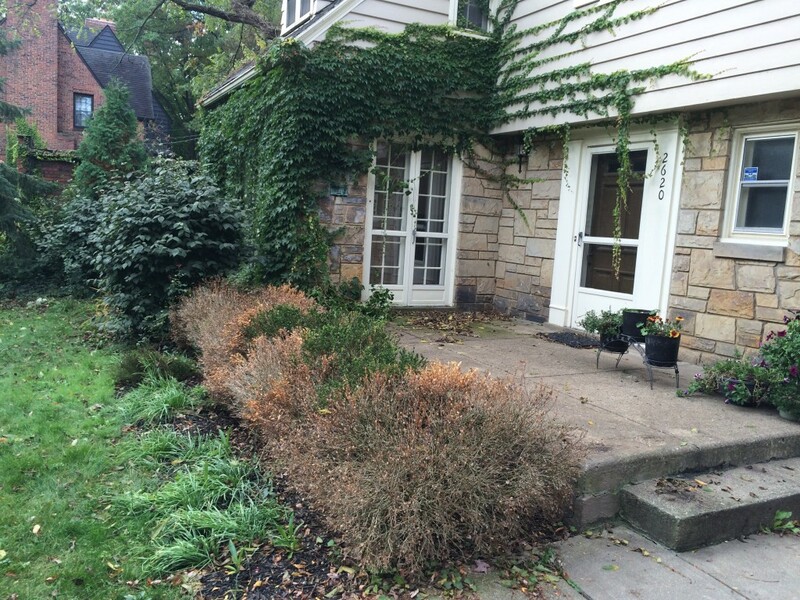 Ivy removed from vinyl and stone siding. 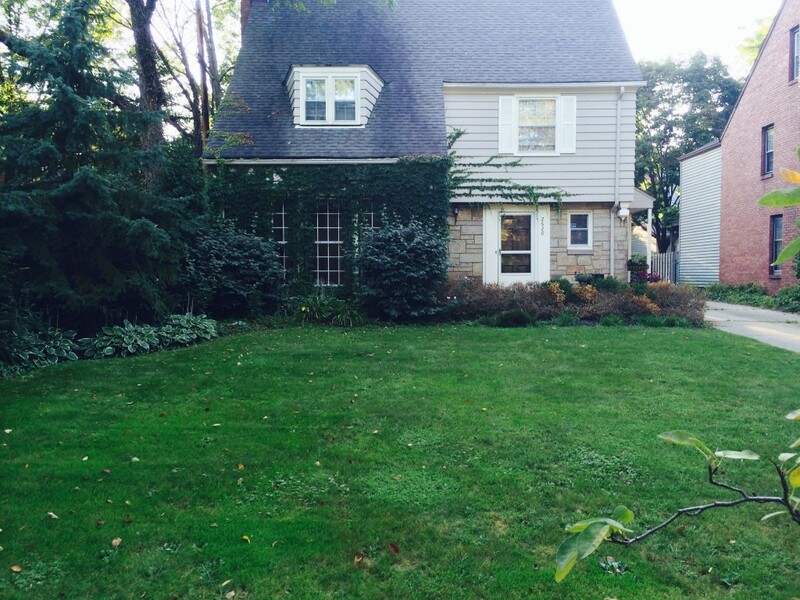 After: Ivy removed. 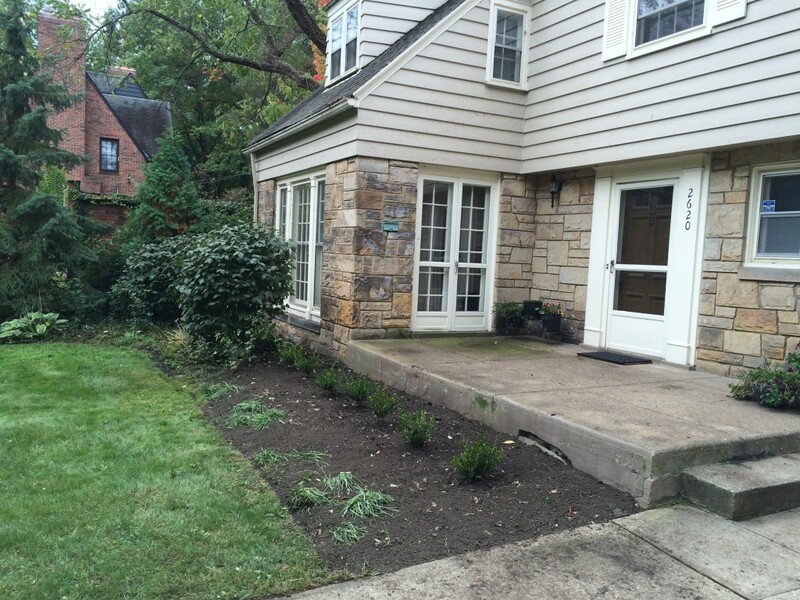 Dead Boxwoods removed and replaced. Shrubs trimmed. Lawn edged and Mowed.